July 5, 2013 by Verle L. Bell, M.D. This poem is a summary of what motivates me day by day. May it provide direction to you as you live your life for Jesus. COMFORT YE MY PEOPLE, SAYS THE LORD. IF YE TRULY LOVE ME : YOU WILL FEED MY SHEEP. IF YOU TRULY LOVE ME : MY COMMANDMENTS YOU WILL KEEP. 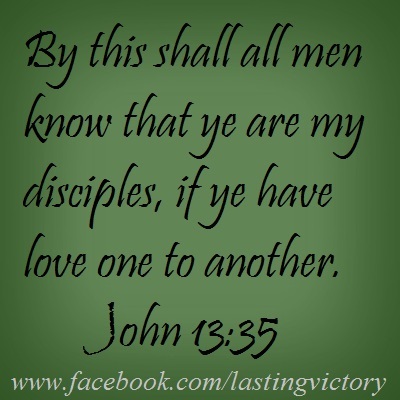 IF YOU TRULY LOVE ME, EVERYONE WILL KNOW : BY LOVING ONE ANOTHER – YOUR LOVE FOR ME WILL SHOW. HOSPITALITY IS AN ACT THAT’S IMPORTANT TO ME. FOR I CAME UNTO MY OWN AND THEY WOULDN’T TAKE MY IN! THEIR EYES WERE BLIND WITH GREED AND THEIR HEARTS WERE BLACK WITH SIN. IF YOU HAVE TWO COATS, AND YOUR BROTHER HAS NONE : YOU WILL BE THE RICHER IF YOU GIVE HIM THE ONE. IF HE HAS NO FOOD AND YOU MEET HIS NEED : IT WILL BE MY SPIRIT THAT YOU REALLY FEED. YES THEY ARE PRECIOUS TO ME. SO, IF YOU’D MAKE ME HAPPY : DO WHAT I’M ASKING THEE. JUST CHERISH MY PEOPLE! CHERISH MY PEOPLE! CHERISH MY PEOPLE FOR ME! This entry was posted in POEMS by Verle Bell and tagged cherish, comfort, feed my sheep, love the bretheren. Bookmark the permalink. Thank yo Dr. Bell for an easy way to remember what we can do to delight the Lord. Your emails are always so helpful and I’ve shared one with one of our disciples who will likely be signing up soon. Can you do something on divorce or legal seperation? My wife and daughter went a couple of years ago and I was a bit concerned about the title but it’s really about the difficult balance of being a godly woman without being passive to the point of enabling.